I got me some tomatillos and cilantro in my CSA box! Tomatillos are weird–they come wrapped in a papery leaf, and when you peel the leaf off what looks like a green tomato, the skin is all sticky. But don’t let my description deter you! Tomatillos are delicious and tangy–and pair excellently with tequila! You can cook this shrimp with either the shell on or off. 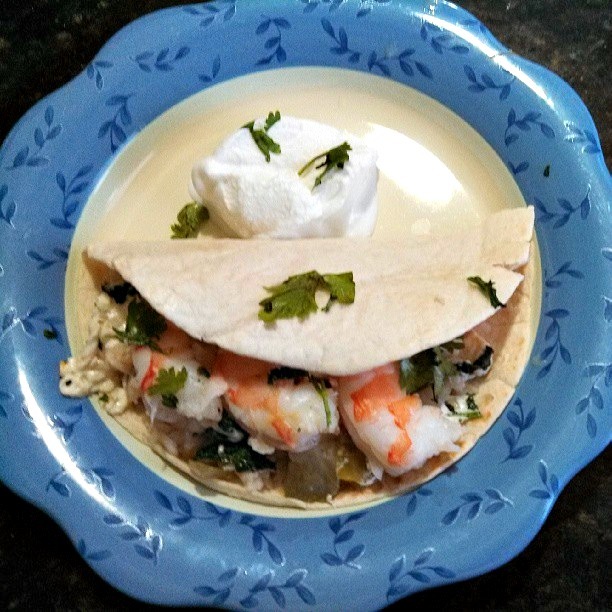 It will be juicy, so you can serve it over rice to absorb that flavor, or in tortillas for some tequila shrimp tacos! p.s. pardon my bad instagram photos. we do what we can. Preheat oven to 425 degrees. Heat oil over medium-high heat in a pan that you can also transfer to the oven. 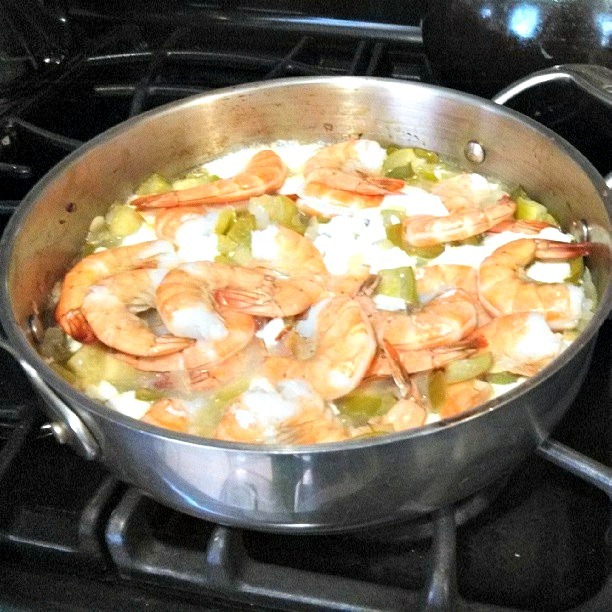 Add onions, jalapenos and green pepper about 5-7 minutes. Add garlic and cook for an additional minute. Add tomatillos and reduce heat to medium. Season with salt and cumin. Continue to cook for about 10 minutes until tomatillos are just cooked through. Take the pan off the heat and add the tequila. Return to heat and reduce slightly. Nestle the shrimp and sprinkle the cheese on top. Transfer the pan to the oven and cook for 10 minutes. Remove from the oven and mix in cilantro, lime juice and pepper. Serve over rice or in tortillas. 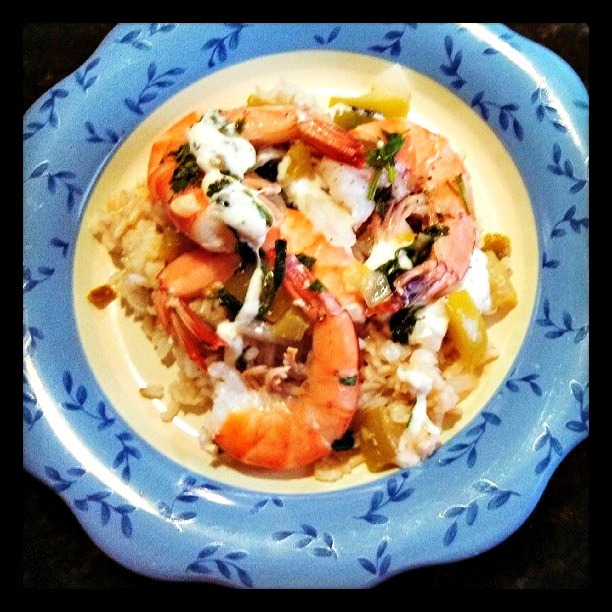 This entry was posted in Entree and tagged seafood, shrimp, tequila by intoxicatingeats. Bookmark the permalink.